More and more brides are shunning traditional indoor wedding ceremonies and instead choosing to get married in the great outdoors. Whether your marriage takes place in a field, backyard garden, on a mountain top, or on a beach, an outdoor wedding ceremony and reception captures something special that an indoor wedding never can. Natural landscapes can be employed to your decorating advantage. For example, stunning mountain vistas can create a grand expansive feel, or beach-side waves can lull you and your guests into a tranquil state of wedding ecstasy. 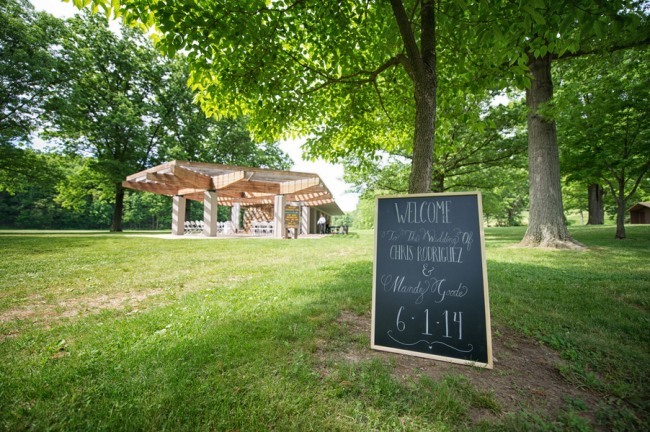 Don’t under estimate the effects of a perfect outdoor locale to host your ceremony & reception. The results can be orchestrated magnificence and provide feel-good memories for all who attend long after the wedding tents have been put away. If not, choosing a wedding venue can be tricky. When you have added concerns about weather, creepy crawlies, wind, sound issues, shelter, being too hot or too cold – planning an outdoor wedding sounds like a lot of added stress. I am here to help you plan for the best outdoor wedding possible and make sure you have all your backup plan A, B, and C in place to accomplish it! Before signing on the dotted line and committing to an outdoor wedding venue, consider both you and your future partner’s personalities. Any type of outdoor event comes pre-packaged with a whole host of uncertainty and risks. A backup plan is essential (more about that later in this article). I got married mid August in a year when the entire summer leading up to my wedding date had been sunny and hot – that is up until the week my husband and I tied the knot. The wedding was scheduled for 3 pm on a Friday, and my coordinator said she would make the decision at noontime as to whether the venue would setup for an outdoor wedding or have to move everything inside. Fortunately, not a minute past noon the blue sky opened over Vancouver, BC and the weather gods smiled upon us. Vancouver is a rainy city and the expectation of rain is ever present, even on your wedding day. I knew that I would have been disappointed if we had to initiate operation rainfall, but I also knew that the inside option was just as beautiful and romantic. Wedding days are generally stress filled. It is a big day and you will be under stress. If you know you are not the type that deals well with last minute changes and unpredictability, make sure that you have a rain plan option and be 100% okay if it were to be put into effect. Once you have figured out the budget and decided that you both want an outdoor wedding, the next big question is where? Although the options for outdoor weddings seem endless, there really are only a few broad categories, each with their own sets of benefits and challenges. You do need to consider all the pluses and minuses before your open air dream wedding can become reality. A rustic open field wedding is a stunning location, but what happens if it starts pouring rain? Where do all your guests run and hide? It is important that you choose a location that is both meaningful and practical. A top pick for an outdoor wedding venue, a white sand beach can be a magical choice. 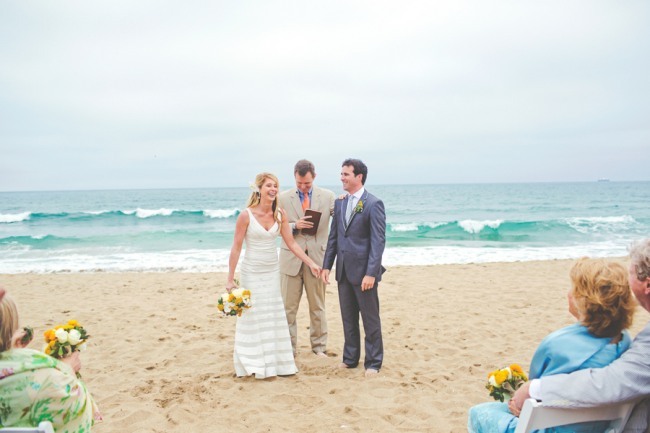 If khakis and sun dresses are your style, then a beach wedding may be the perfect location. Beach weddings offer a more casual and relaxed feel, which can be an appealing draw for some brides and grooms who seek a carefree wedding day. Don’t live near a body of water that has a lovely public beach attached? Be aware that there will be a few more steps in the wedding planning process and potential paper work to hold such an event in a public area. We will cover that in “The Must Do’s” section. A memorable week with family and friends, icy fruit cocktails, steel drums, sun, and the extra week tacked on at the end for a “wedding-moon” … it is no wonder that this style of outdoor wedding is a top pick. Home-sweet-home. One of my favorites and for good reason. 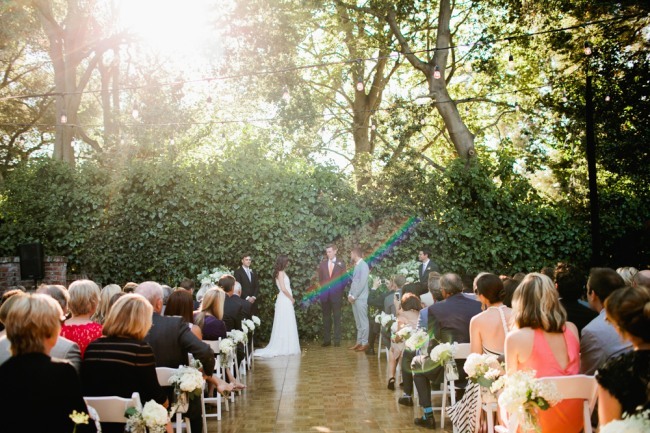 Backyard weddings are intimate and personal. They really allow you the freedom and flexibility to choose whatever you want for your wedding day. There are no preferred vendor lists you must use, you make up your own rules. Backyard weddings at home are not a complete walk in the park. You may save on the venue rental fee, but there are other hidden costs for holding an off-site reception. Linens, tables, silverware, china, glassware, chandeliers, and even ice cubes … the list is long for items that you will have to buy or rent. Depending on the size of your guest list, you may have to rent generators, portable bathrooms, tents, or a dance floor In addition there are things like liability insurance, hiring valets, a cleaning company and minor house renovations or landscaping updates if you so choose. Don’t let this frighten you away from hosting a wedding at home. As long as you have a strategic wedding plan in place, you can get everything done that you need to. Being able to tailor your wedding day to your desires and theme is a fabulous way to throw a party. Just make sure you give neighbors the heads-up … and maybe a couple bottles of wine so that nobody makes a noise complaint! Historic properties are my all-time favorite venue location for a wedding. Hence why my husband and I chose Hycroft Manor in Vancouver, BC. Our addiction to the T.V. show Downton Abbey during the preceding Christmas holidays may have been a factor. Our wedding ceremony and reception venue exuded 1910 architectural delights. We loved the vintage decor, furniture, and expansive outdoor terrace area for our guests to mingle and roam. 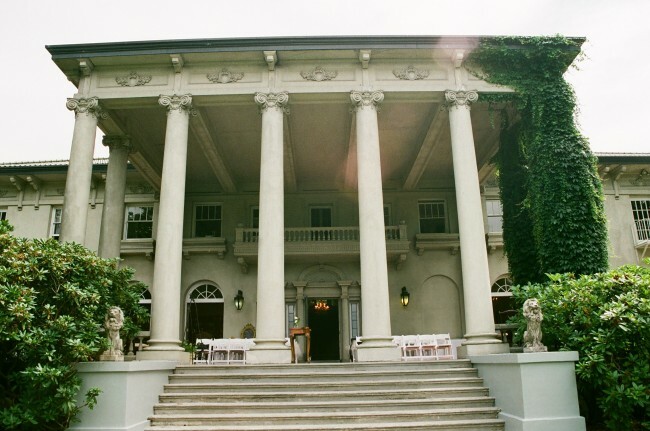 Choosing a historic wedding venue provides several advantages: they typically come with a pretty large and fantastic manicured property and have the added pleasure of masonry work, gorgeous staircases, giant columns, large balconies, archways, and all the visual goodies that make an event feel oh-so-posh without even trying. Whether it’s a castle in Ireland, Southern Plantation, or big city manor house, historic properties really set the tone for a movie-set backdrop and have more than a hint of je-ne-sais-quoi. You just can’t help but fall in love with this type of wedding venue. One added bonus about hosting your wedding at either type of property: in case you need to initiate operation rainfall you have a structure that can easily be transformed into a plan B. When planning a wedding on a property that is privately owned, the owner will most likely have more flexibility as they are usually in the business of hosting private events. In addition there may be dedicated staff and a wedding coordinator that can help you plan the day of your dreams. You may find that there is a little more red tape when dealing with public historic sites, and they will have stricter rules, specific times, and designated areas for events in order to minimize the disruption for public use. Although Hycroft Manor in Vancouver (normally the clubhouse for a private women’s club) was ours for the day, we did notice that there were a few written rules that we had to abide by that were a little less desirable. Although, I must say the staff were amazing and somewhat loose about the written rules … shhh, don’t tell the old biddies at the club that we broke a few rules! Preferred Catering Lists: Most of the time these sorts of venues will have close working relationships with certain vendors that are approved to work on-site. For example, my wedding at a historic manor house meant we were not allowed to bring any outside food onto the premise. Although, my coordinator said once the chef leaves for the night we could bring some bags of chips for late night snacking. Closing time: Some properties require that you wind down your wedding party by a certain time. Alcohol: Specifications on alcohol are common. Corkage fees may apply to wine brought onto the site. Equipment: They could have specifications on trucking in equipment and usage regarding tents. Just make sure you review your contract really well before signing the dotted line, especially for a historic site. Before you go inviting all your guests to a public park for a big wedding, confirm the requirements to use the public space and if there are any additional fees or donations to be made. Depending on who owns and runs the land, (whether private, municipal, federal or state run) there will be different usage fees and rules. You may find the most perfect park with beautiful manicured gardens, restrooms, a covered pavilion and all with an attractive fee, but you are not allowed alcohol. A dry wedding may not be what you envisioned for your big day and could change your idea of having that perfect park wedding all together. If your event will attract a lot of attention and crowds, you may have to pay for security presence. Public parks are usually restrictive in the types of items that you are not allowed to have such as: rice, bird-seed, balloons, petals, candles, sparkles, fireworks, amplified music, smoking, bonfires, signs and lighting. All questions you need to ask your city hall so that you are not disappointed after the fact. One down side to having your wedding in a public place is just that – it’s in public. There is most certainly going to be looky-loo’s, or other brides-to-be scouting out a potential wedding venue. I spotted two weddings at the Shakespeare’s Rose Garden in San Francisco when I was searching for my own wedding venue, and decided to try and get a closer look. Yes, I should have known better, but I couldn’t help myself. I had traveled 1000 miles to see wedding venues in San Francisco! Even if you love the lime light, curious gawkers caught in your professional photos while you say your “I-do’s” kinda spoil the moment. Who knows, I may be hanging on someone’s wall in their wedding photo, peering through the bushes! Finally, keep in mind the size of you guest list when planning a wedding in a public area and whether or not the area can comfortably accommodate all your family and friends. A smaller guest list for a public ceremony is a good way to go. You could hold a smaller ceremony with a select few people and then invite the rest of your guests to attend the second larger facility for the reception. I was engaged in Tuscany, Italy, a destination renowned for some of the best wineries and vineyards in the world. I remember my (now) husband and I traveling through this part of the world and being smitten with the romantic winery estates. Wineries usually have a gazebo, canopy tent, or indoor dining option for either inclement weather or should you prefer an indoor reception. 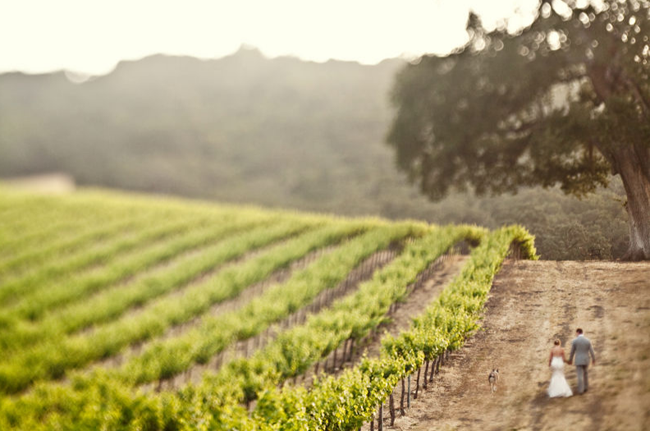 Many vineyards come complete with incredible vistas that overlook scenic valleys, mountains, woods and winding roads. Summer is a great time to host a vineyard wedding because the grapevines are in full bloom. Of course, this will also be the hottest time of year! Fall is another beautiful season for a vineyard wedding. In Napa Valley, California (another popular choice as a winery wedding destination), the leaves will turn brilliant hues of red and orange as the wine crush and picking approaches. Either way, you are at a winery on your wedding day – pop the cork and let the party begin! Now that you have a better idea of where you would like your outdoor wedding, check out our FREE Wedding Planning Checklist to see what your next task is!